Speaking of scary no doubt alot of you will have witnessed Strategy’s Voodoo priest get up for the terror dome anthem from DubPhisix, Skeptical & himself ‘Marka‘. Absolute salute to the Manc contingency on this one, the video which is already over 100,000 views on the tube is like an excerpt from a movie i wouldnt watch alone. Nice to see alot of support for this track which no doubt will be smacking a speaker system near you over the festive period! 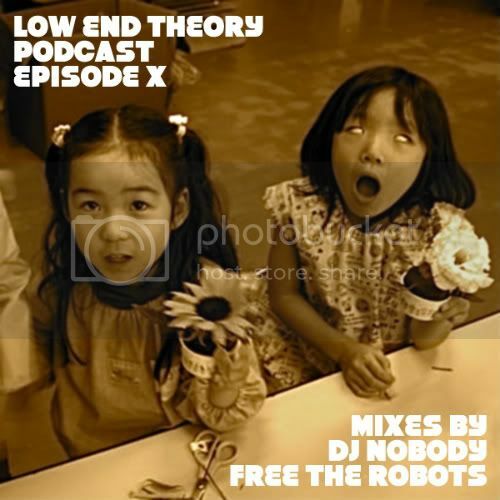 Catching up on some podcasts on the train down to London can’t believe i missed Low End Theory X with DJ Nobody and Free The Robots. FTR’s mix is F***ING enjoyable i can tell thee. Im dying to know though the name or creator of the track at 28.34 on this podcast, if anyone can help will be much appreciated Download via Itunes or at Low End Theory club where you can also get all of last years mixes for free YAY!